Seems pretty narrow minded to me. He mentions "abandoned houses" and ghosts towns. Like there arent any abandoned houses and buildings in the rough parts or slums of the bigger cities, such as Chicago, NYC, LA, and so on... I hate how ND is so stereotyped and the majority of the ppl who make fun of ND have never been here, ND is actually one of the most beautiful states, with a great economy, good education, and so on... I think ppl tend to forget we help feed the majority of the nation too. They made their article on 5 or 6 small towns that most people have never heard of. No disrespect to them, but most younger people have no clue where these towns are located. Also, where's the emphasis on the good parts of ND- UND,NDSU, hunting and fishing, Missouri River, values of the people, Lake Sakakawea, nation's leading producer of some agricultural products, Badlands, Peace Gardens...........the list could go on and on. Instead, it makes ND look like a place where people never leave, grow old, and die. “We’ve even had a baby born to a family in Epping,” he says, “which I’m sure has not happened in 20 years"
its not a lie, its an exagerration though. my question is, that if its the NW part of the state closing dont you think it would be the cities like Minot, Dickinson, and Williston that are growing and not the other section of the state with Bismarck, Fargo, and Grand Forks? nice update pal, but the last post mentioned six cities so which 3 of the six have grown? Most people that move, like kids off to college, go further than Williston or Minot to the bigger schools in Grand Forks and Fargo or into the military. Some of the older folks move to be closer to the kids, quite often out of state. That being said, the trend is definetly turning. A good few are returning home after years away and young families staying are on the increase. Sure there are ghost towns, if that's what you want to see, but there are also thriving communities just a few miles away. The reality is, there is no need for another town every 10 miles in the 21st century as there was in the early 20th. Focusing on the decline and empty spaces was obviously the better story, but ignored the prosperity that's here as well. But it's such a long ride in the buggy to get to the next town. personally the guy that wrote that is a moron!! 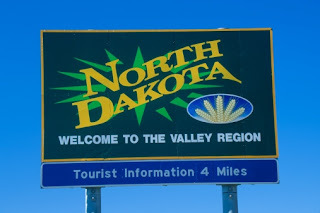 I have been to alot of cities and states in the USA and north dakota is the best that is why i came back. I think it is fine for an absent minded writer to write that becuase it keeps the rif raf out of this great state. Last edited by sportsguruguy on Sat Apr 12, 2008 1:23 pm, edited 2 times in total. Way to make us look good in ND sportsguruguy. You call someone a moron and then you can't even use the English language correctly. Riprap is stuff you put on a shoreline to prevent erosion. The people you want to keep out of the state are riffraff. um....so......that's why I created this topic on Jan. 18th...is there a time limit that people have to reply to topics now?